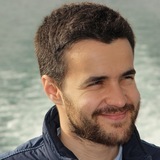 João Silva is a senior software engineer working and leading CERN’s Application and Services section within the Business Computing group, responsible for web and workflow applications development in the organization. Before joining CERN, he worked as an IT consultant for Accenture, focusing mainly on the design and development of enterprise-wide information systems, and in one of Europe’s first IoT companies. He holds a Master’s degree in Computer Science and Engineering from Técnico Lisboa, where he also served as a teaching assistant for entry-level computer science courses.